Happy New Year! 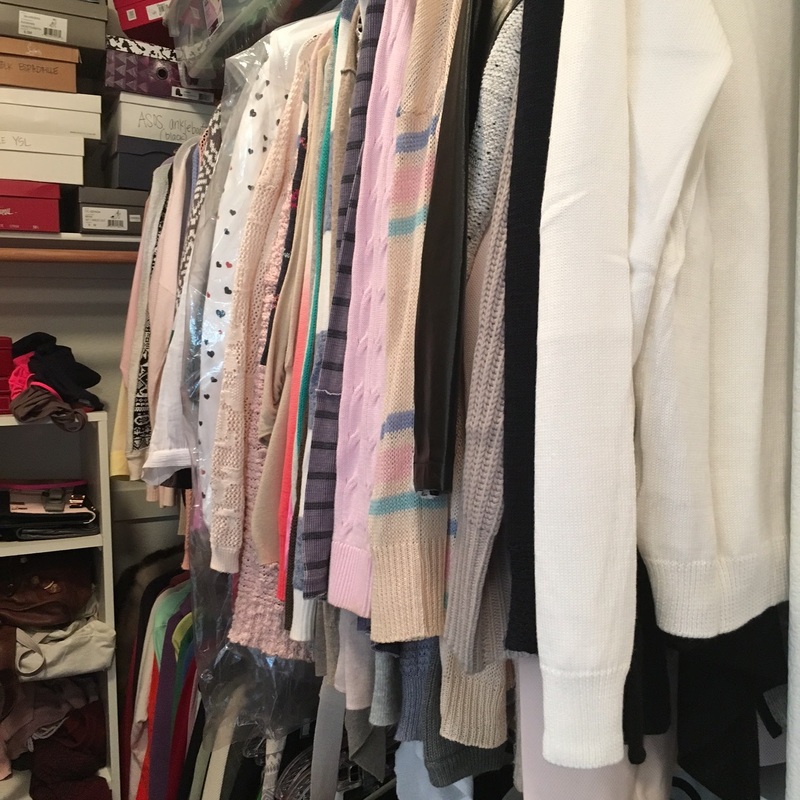 As a stylist, one of the most important jobs I do is help my clients edit their wardrobes. Typically it’s the first step in our personal styling journey together and come January, I get many calls asking if I can help with this often dreaded task. 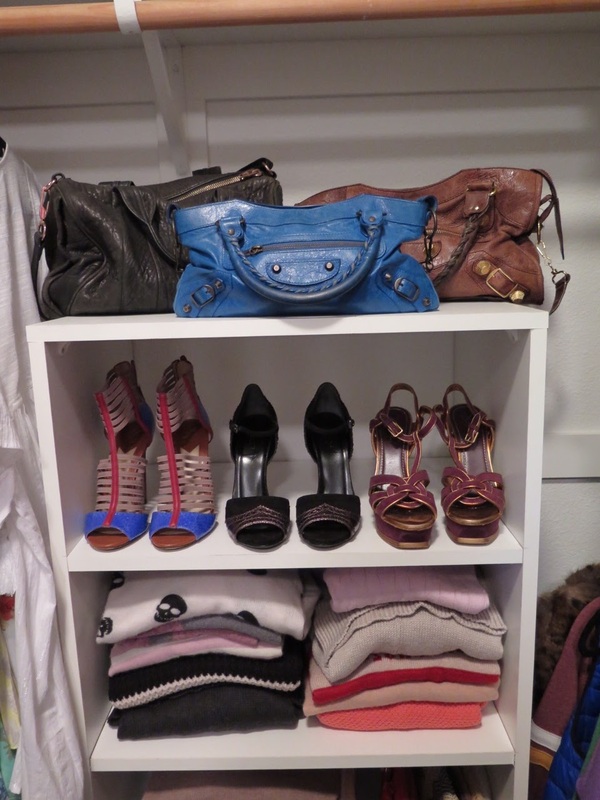 The closet edit is something I love to do because it helps people get a fresh, clean start. 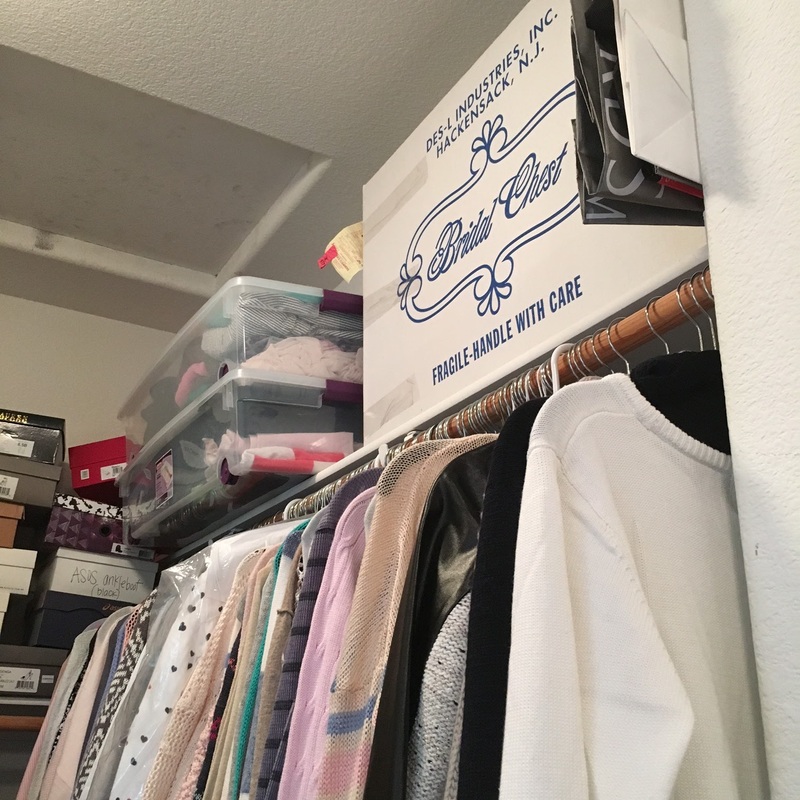 My goal is to have you feel like you can shop your own wardrobe- your closet should feel like a fabulous little boutique that you love to be in! You spend lots of time in there… you get dressed everyday most days. You should love to be in that space and you should love the contents in that space equally as much. 1.) If I lose those last 5 lbs, I’ll wear it. 2.) This would be good for a Halloween costume. 4.) If my jacket can cover up that stain/pull/snag/pit stain/makeup, it would be cute, right? The answer is no, and it needs to go. 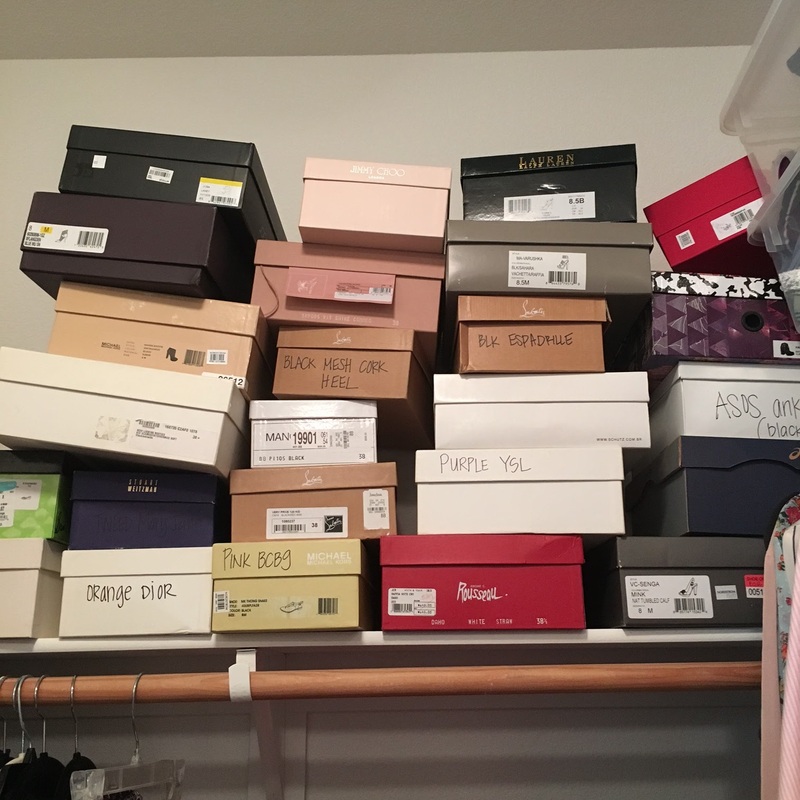 We then divide into four piles: Keep, Sell, Donate and Other (items to be altered or sentimental items like Wedding shoes). There are several companies that will cosign your goods. My personal favorite, and the company I recommend to all of my clients is ThredUp. I’m all about convenience- they send you a bag with a shipping label on it. You fill it up with stuff you want to sell, send it back to them, and they deposit money into your PayPal account. Genius! And now you have money to buy yourself a treat for that major purge you just did. For luxury items, I use Ebay or tradesy.com. A lot of my clients protest purging high end items…”but these were so expensive….I feel bad not keeping them.” The guilt is especially strong if the item was a gift. I give you the ok to lose the guilt, get rid of them and get some money in your pocket! 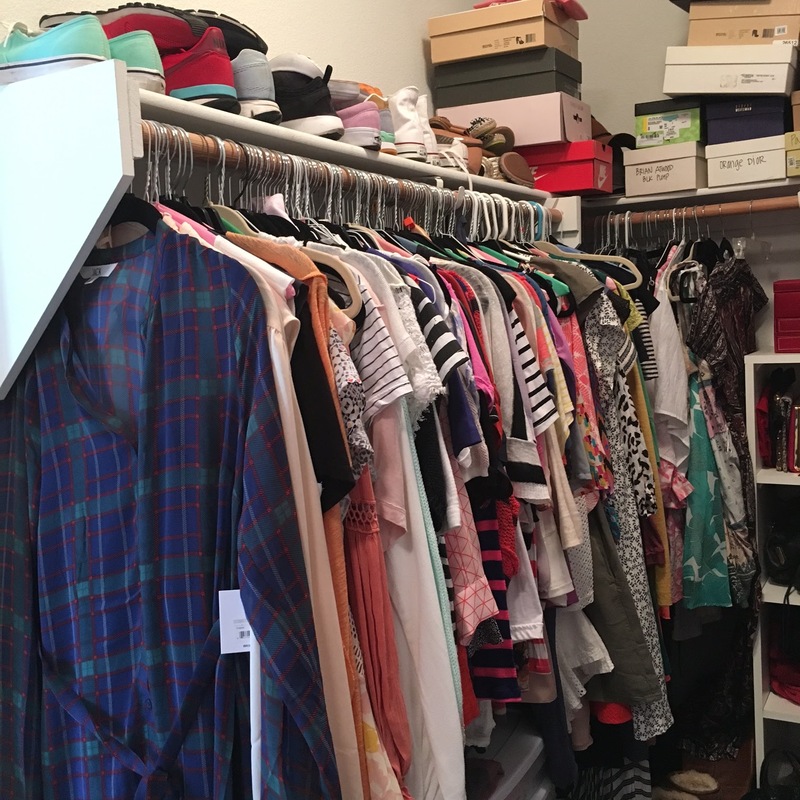 What I always find is that hidden under the items we give away, donate or sell is a pretty spectacular wardrobe. My job is to then add in items that may be missing: a little black dress, a statement necklace, a denim jacket, the perfect dark washed skinny jean…I analyze your gaps depending on your lifestyle, career, wants and needs to create the wardrobe that suits your life. Jewelry Storage- I have this and this and love them! 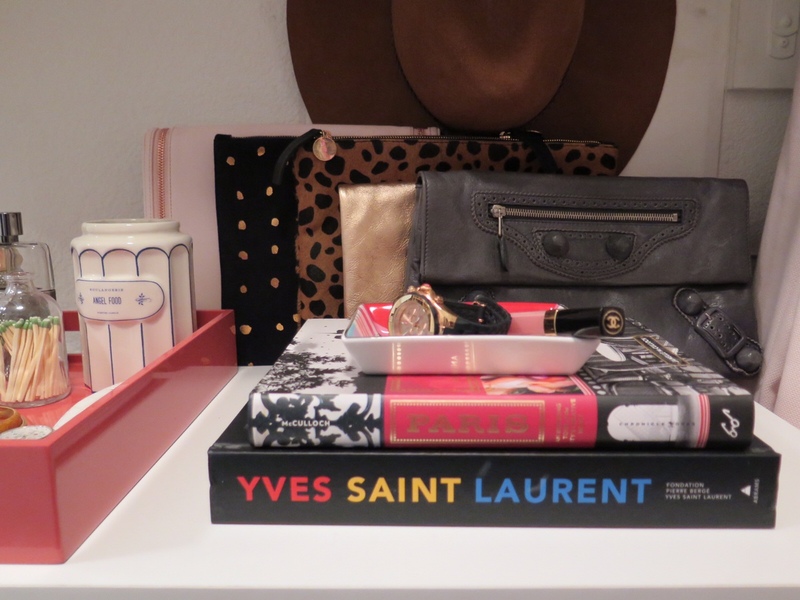 Clutch/Handbag Storage- My personal favorite, Here. 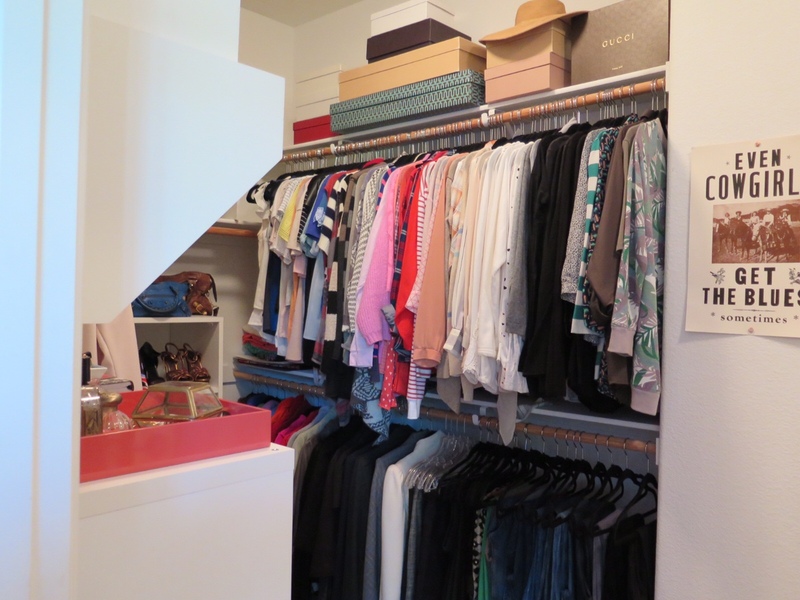 Here is how I transformed the closet of one of my clients, below: After a major purge we added space saving hangers, budget friendly storage options for shoes and drawer space. We displayed her (fabulous) purses, folded her sweaters (hanging is terrible for the fabric), color coordinated her hanging clothes, added a stool and some fun and functional accents. 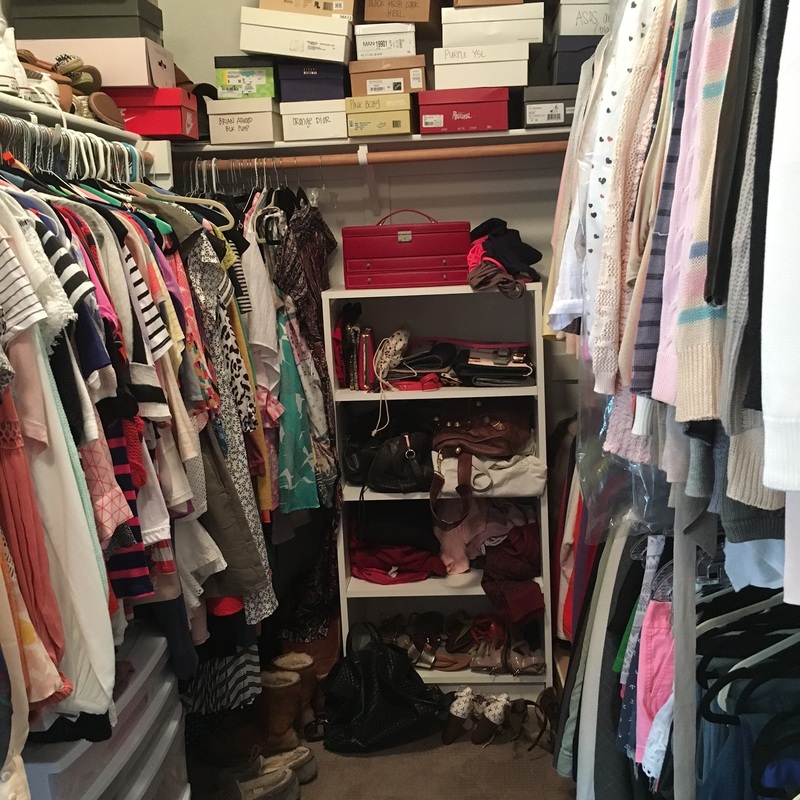 This is the perfect time of year to give yourself a well needed purge and organization session! If you’re in the Southern California area and would like to inquire about my closet editing or personal styling services and pricing, please email me at kara@karalovescoco.com As always, thank you so much for following along! Looking for some inspiration? Check out my Pinterest Board: KaraLovesClosets for more ideas! My sister will not stop talking about the Kondo method, she literally just purged her whole life! haha!! love this. 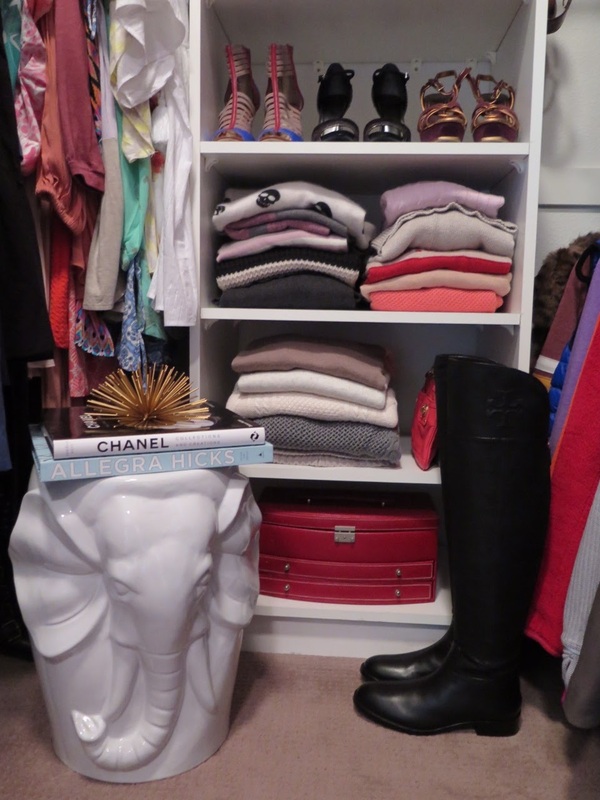 Great job at reworking this closet! Its perfect!